Club Penguin Cheats by Mimo777 Club Penguin Cheats by Mimo777: Club Penguin Ice Rink Returns! Slip, slidin' away! 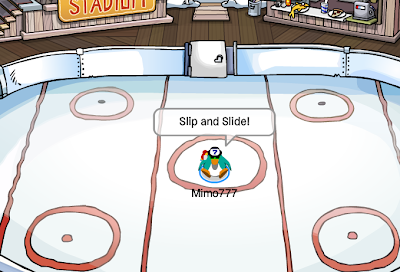 The Club Penguin Ice Rink has returned today! And, with the Ice Rink is a new Snow and Sports Catalog! Click here for all the cheats! I'm glad it's back, are you? It's kinda cool Club Penguin keeps updating the Stadium for the different seasons, huh?